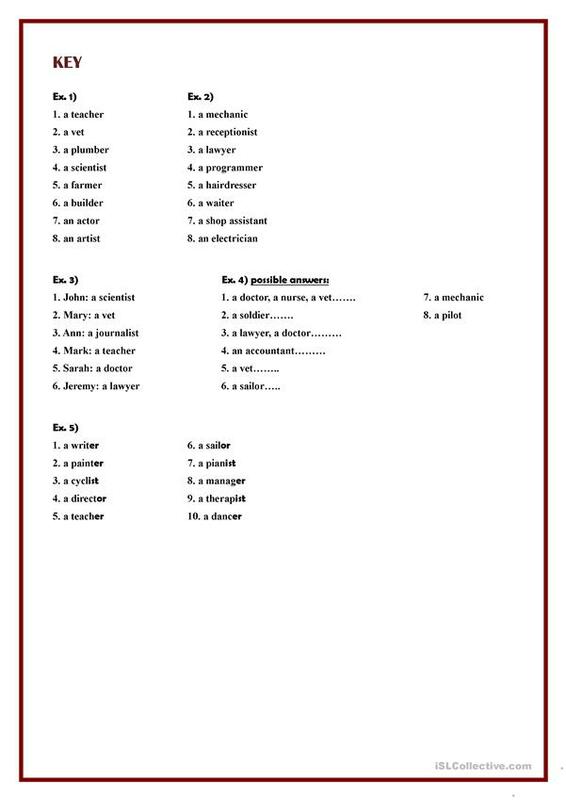 This worksheet deals with the vocabulary of the world of professions and jobs. It consists of five different exercises. The answer key is provided on page two. 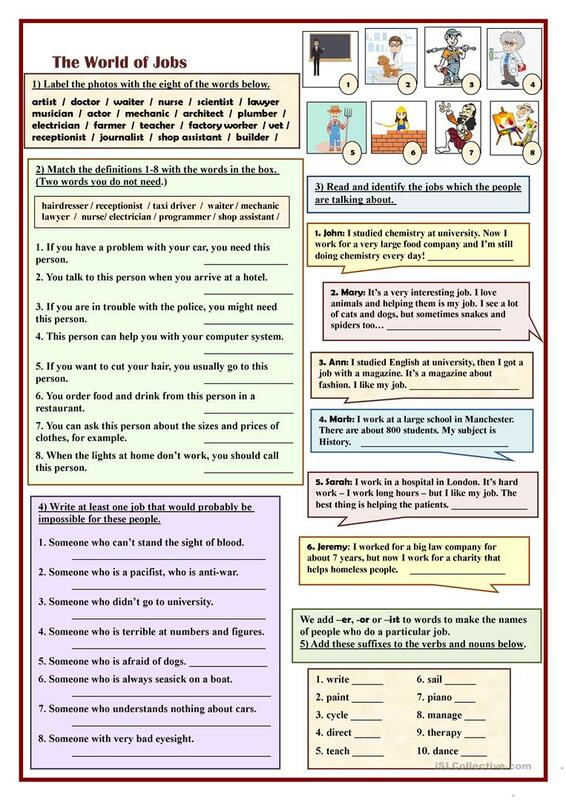 The present downloadable printable is meant for high school students, elementary school students and adults at Elementary (A1) and Pre-intermediate (A2) level. It is focused on the vocabulary topic of Jobs, work and People. You will find the answers at the end of the worksheet.